Manila is a Pandora's Box with a cache load of traffic, congestion, pollution and people with short fuses. 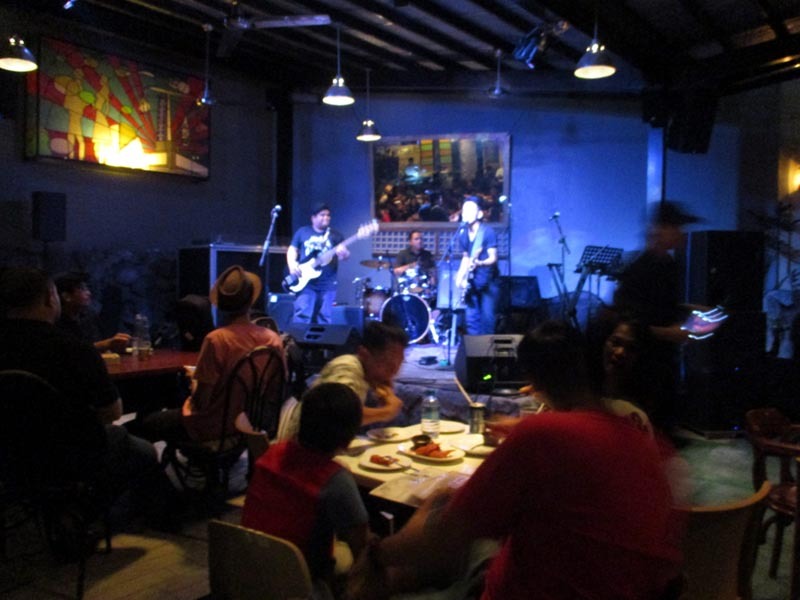 But it's underlying hope lies underneath its belly, in its vibrant music bars where Blues music beats through its walls with its chill community who have now become familiar faces. 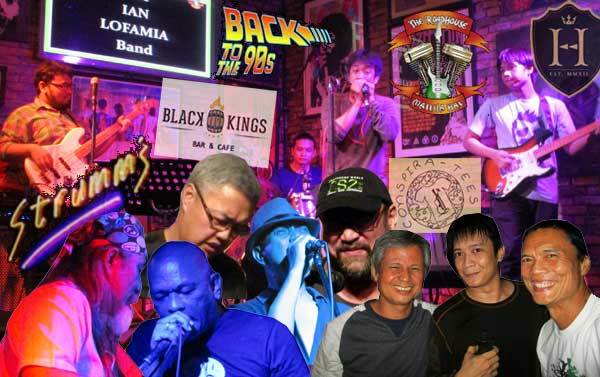 Yes, Blues music comes alive in Manila. 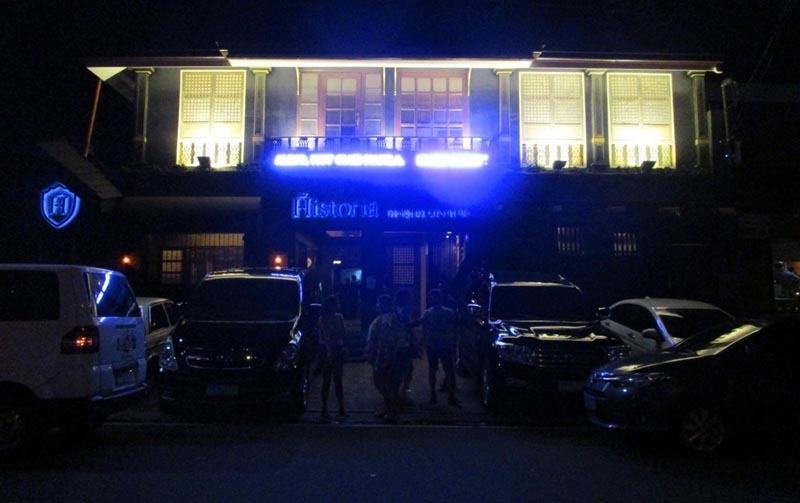 Manila doesn't have an exclusive Blues bar...not yet. 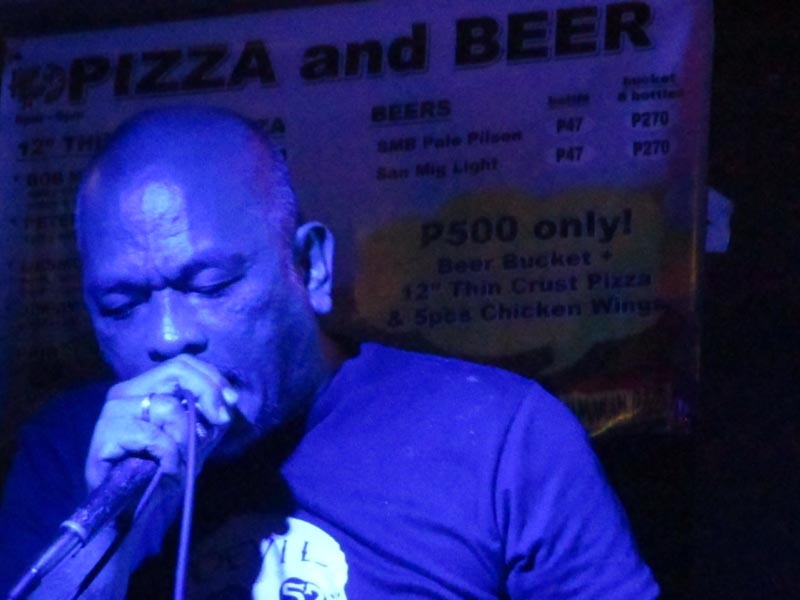 Every now and then, a Blues band would post a gig in some bar. 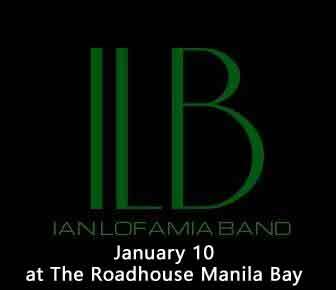 The Ian Lofamia Band has sporadic gigs at The Roadhouse in MOA (P115/Pale Pilsen). 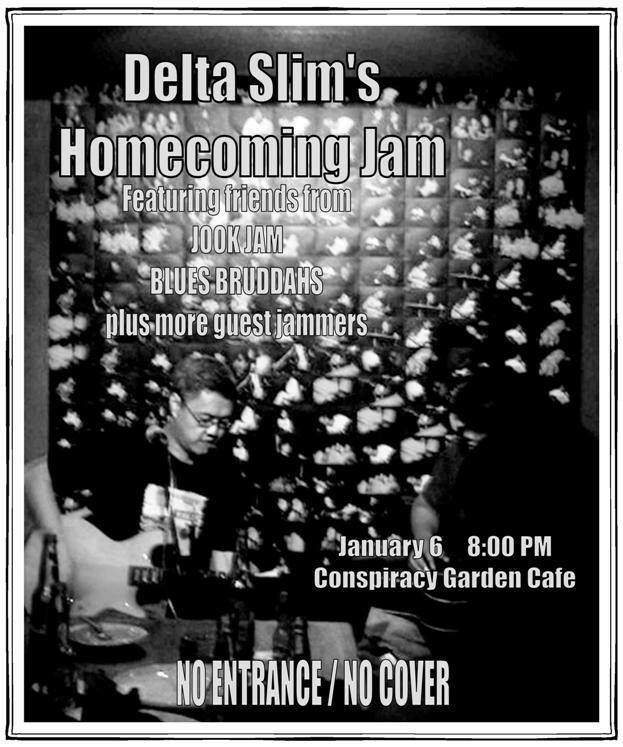 Delta Slim and the Blues Friends jammed at Conspiracy Garden Cafe where it's Blues Night every Wednesday. 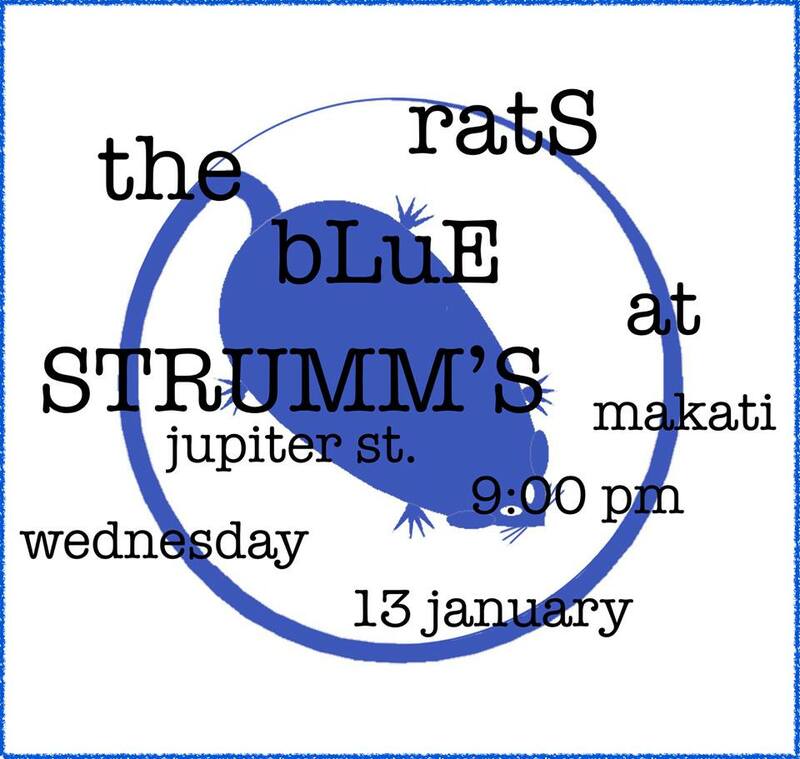 Though I haven't been, Strumm's along Jupiter St. in Makati Ave has Wednesday Blues Nights featuring the Blue Rats. You just have to be in the know who's playing where. 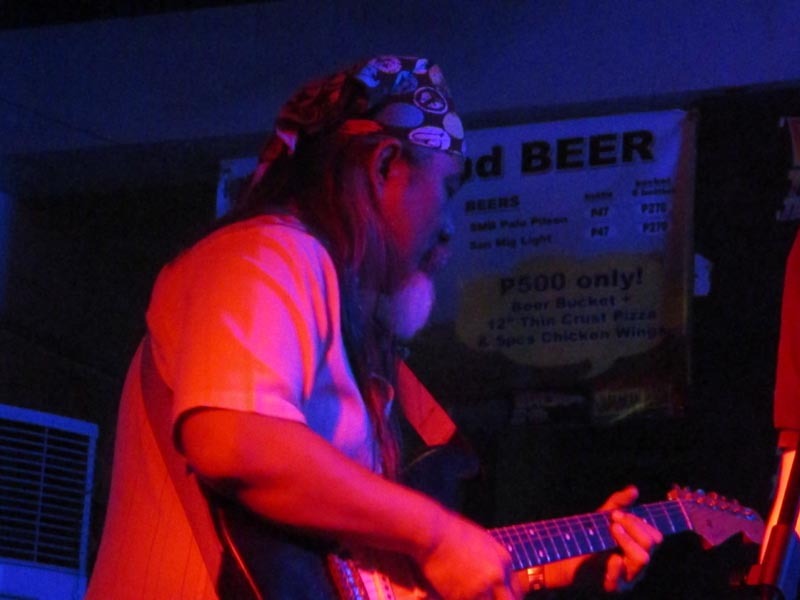 Manila Blues' Big Daddy, Elwyn is iconic in the Blues scene. 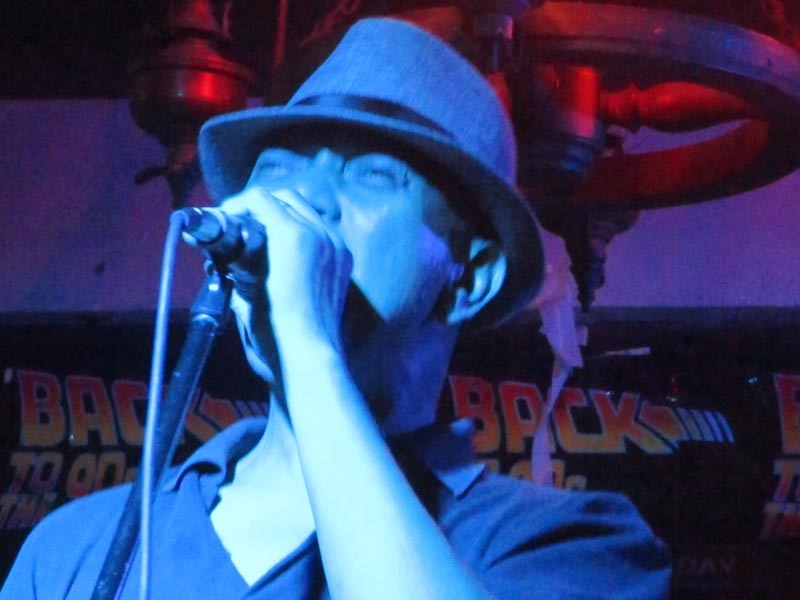 When Blues was an insignificant glitch on the music radar back in the day, Elwyn gave it a home at Backdoor Blues Cafe. There were no live bands then - just piped-in Blues where musicians would chill for booze, eats and friendly banter. Then the bands began to play. I believe city politics messed things up and Blues had to find another home. 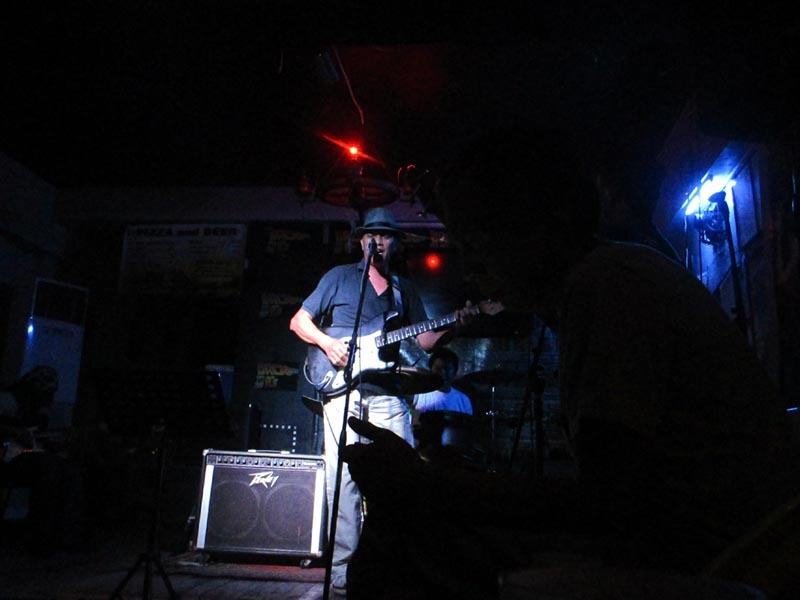 Elwyn put up another Blues bar along Kalayaan Ave, but then again, it was short lived. 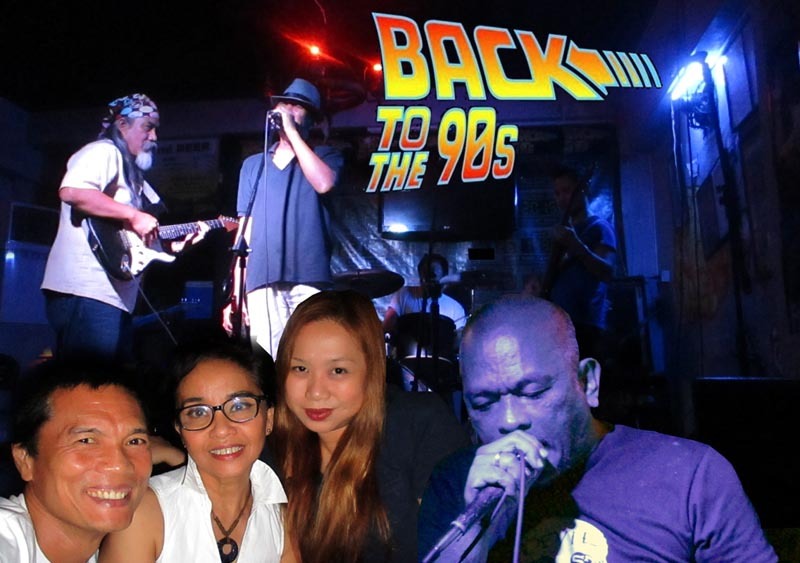 Through his efforts, Blues had a resurrection at Black King's Bar and has found new homes too at Back to the 90s (P60/Pale Pilsen) , Conspiracy Garden Cafe (P55/Pale Pilsen) and Historia Bar and Resto (P55/Pale Pilsen) where Blues friends take turns and jam in laid-back sessions while downing a few coldies. 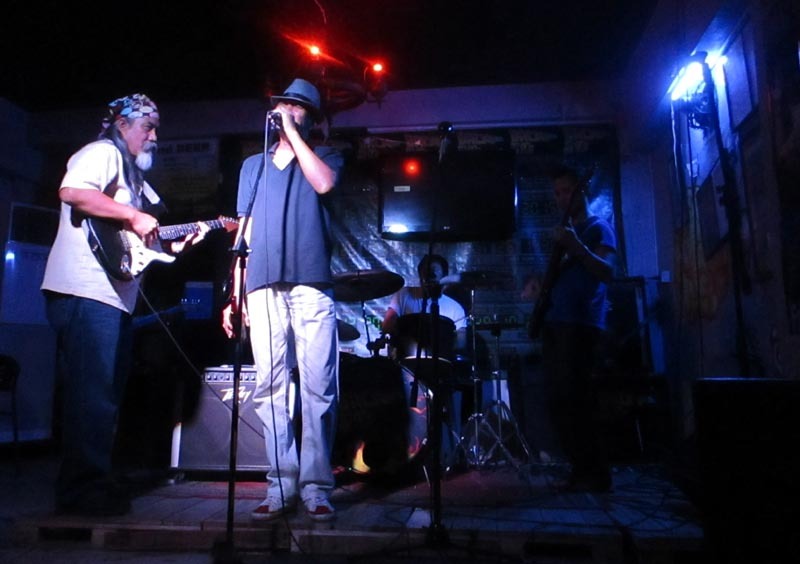 Elwyn then put up a secret group on Facebook for Blues friends - a virtual center camp for shoutouts in the Blues scene. This keeps the community together. 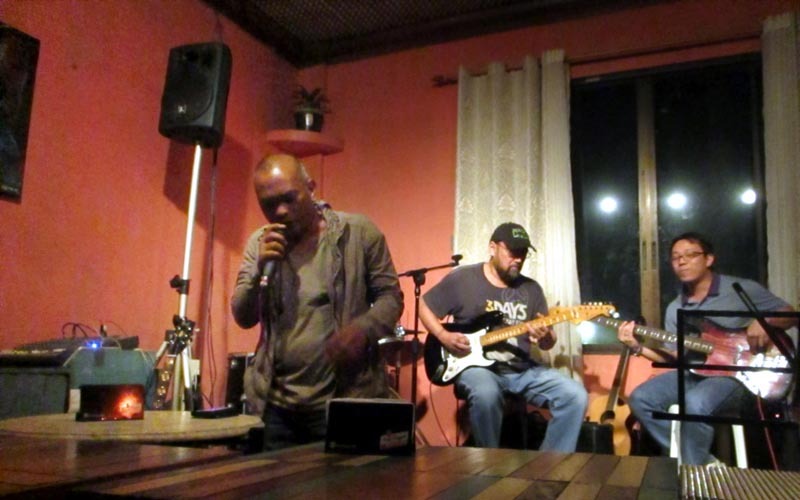 Elwyn has long been the hub that kept the Blues alive. You da Man, Elwyn! I'm not privy to all the bands out there, but I'm a groupie for the Ian Lofamia Band. 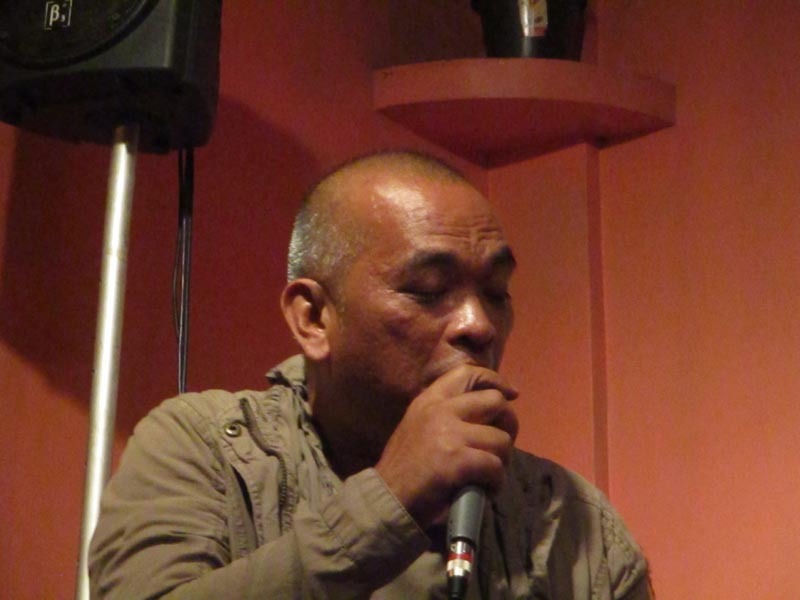 With Ian's foot-stompin' huffing and puffing on his harmonica with explosive energy, I'd walk a mile to catch their gig. 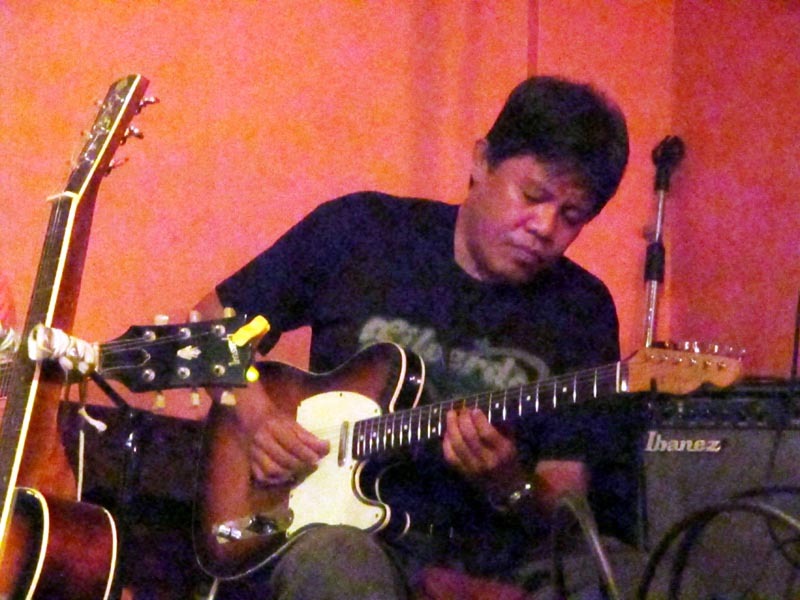 I first listened to him at the Blues bar in Kalayaan in 2011 when he was still belting out Led Zeppelin tunes with the Kulukati Band. I was already a big fan after that. With his stage swagger, his forceful gravelly voice and his Robert Plant vocal riff, he's a show unto himself. He sings good Blues, but I think he belongs in a Rock n' Roll band. I see him as a formidable talent in search of his rightful place in the sun. 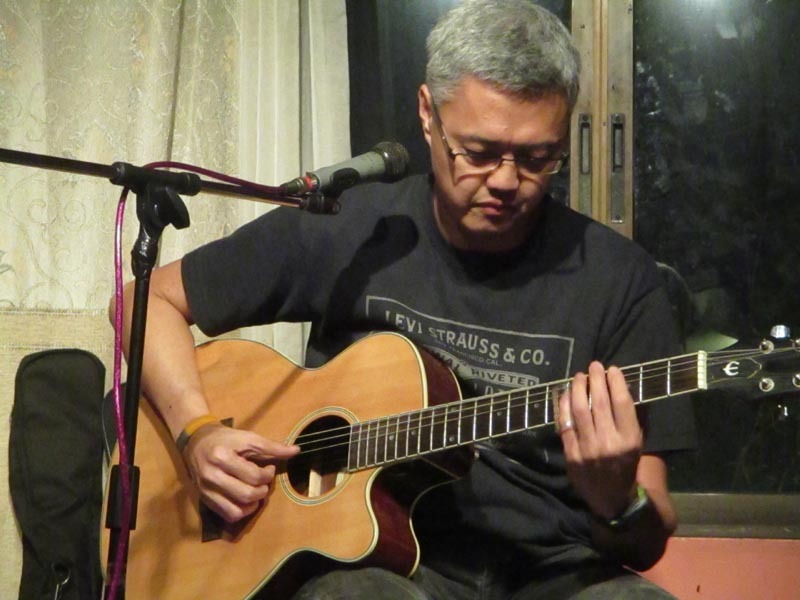 While traveling Souteast Asia, Blues is hard to come by. 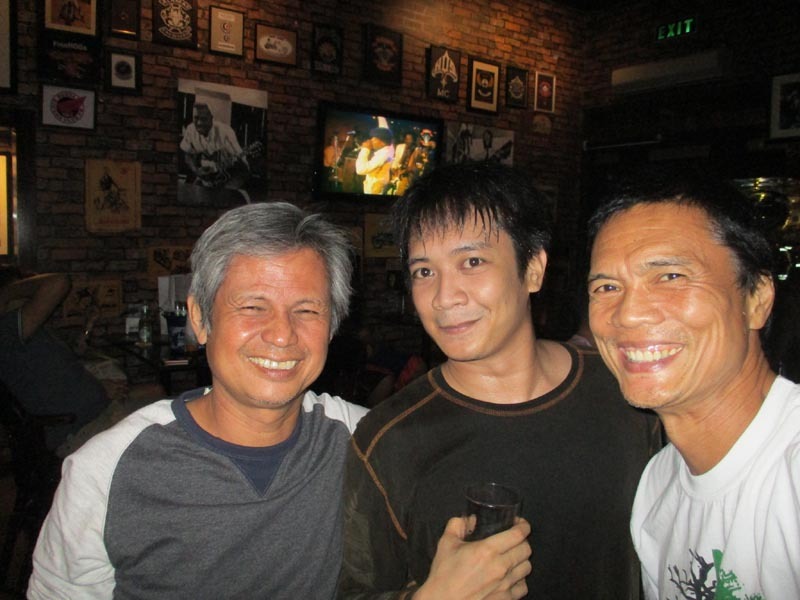 There were 2 joints in Bangkok, one being Adhere 13th Blues Bar where I chilled, and the Saigon Ranger in Ho Chi Minh City with Texan band leader, St. Claude. The rest? I don't know. I didn't find it in Cambodia, Laos, Kuala Lumpur or Singapore. 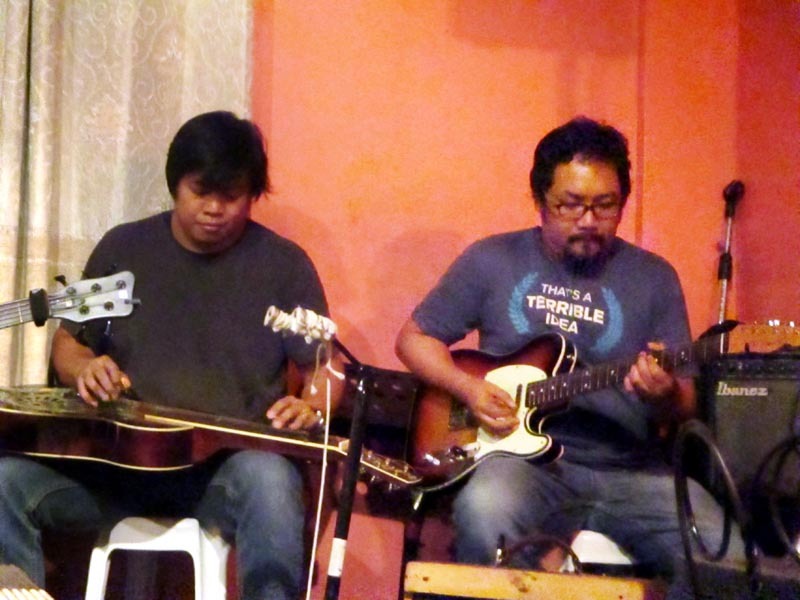 But here in the Philippines, if you know where to look, Blues is gritty, raw and unpretentious. Muddy Waters would be proud. With a friend arriving Manila with me as host and tour guide, I'll be sticking around Manila a little longer. I'll soak in the Blues while I'm here. 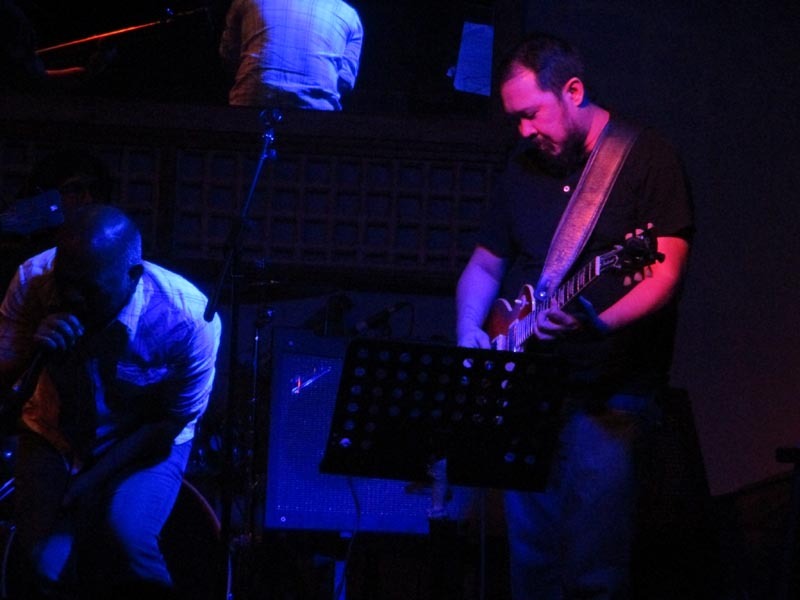 Yeah, Blues comes alive in Manila. ps - just to make it clear, this blog highlights my Blues experience in the last 2 weeks while hanging out with friends who are in the scene. 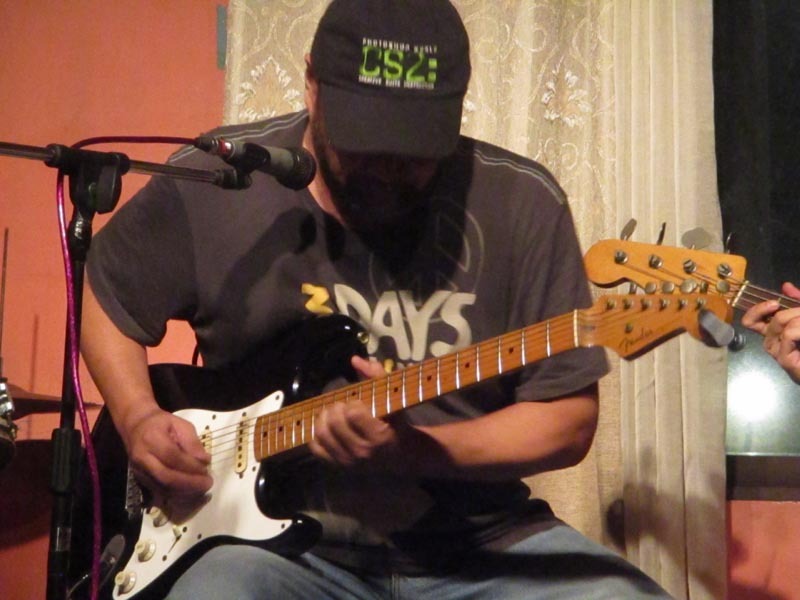 If you know a noteworthy band or Blues bar I failed to mention, please, shout out! It's always good to know who else is out there. (Jan 8, 2016) Great article. 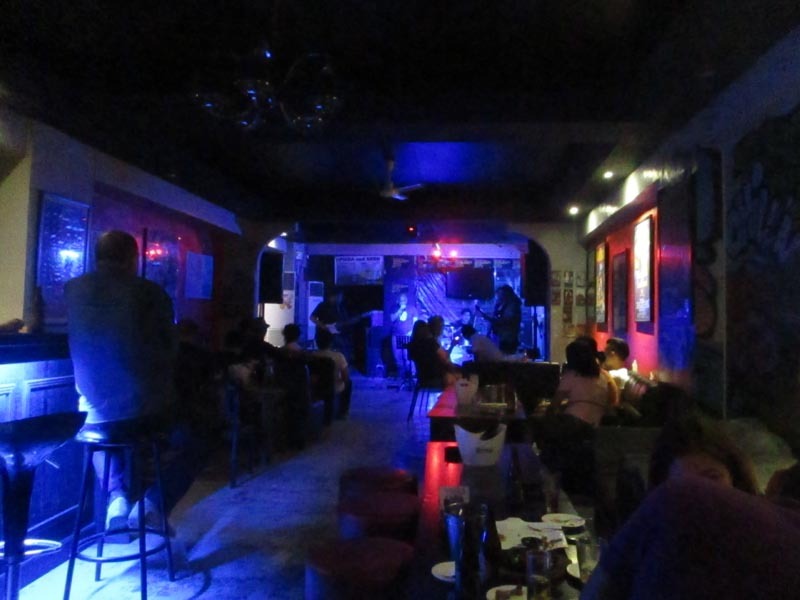 There is a full-time blues bar in Manila: Roadhouse Manila Bay has live music 7 nights a week, and usually 6 of those feature a blues band. 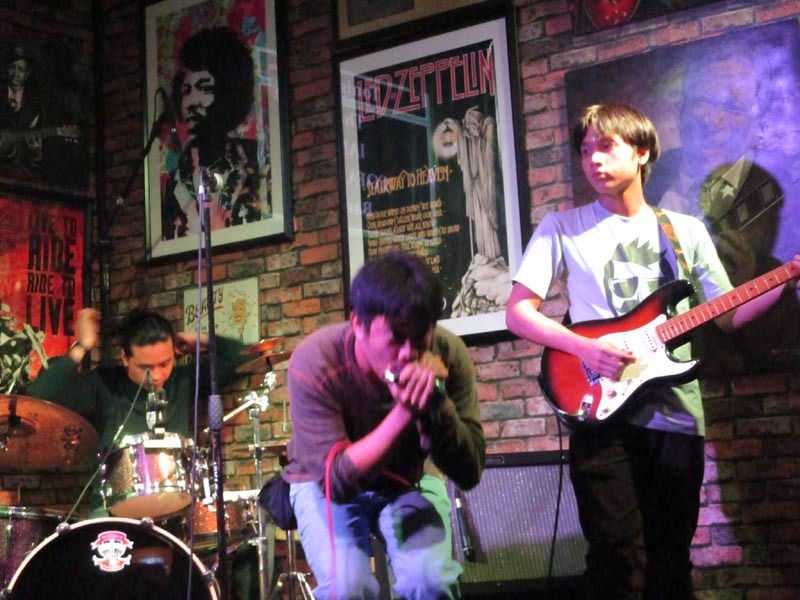 Kuala Lumpur has a small but very active blues scene, as does Indonesia and Singapore. 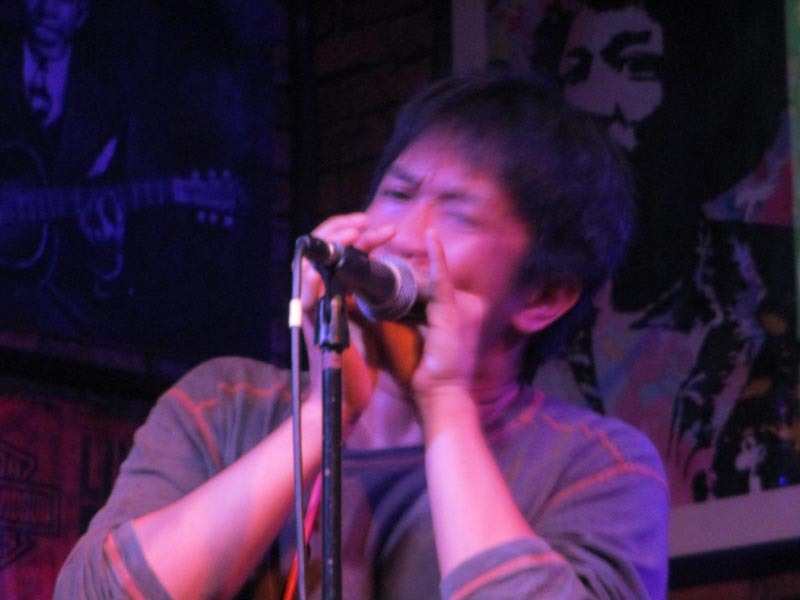 check out the Facebook Page: Blues Asia Network, which very actively about blues all over the region. (Jan 8, 2016) As much as this is a good article, you're missing out on a lot more of great blues bands out there. 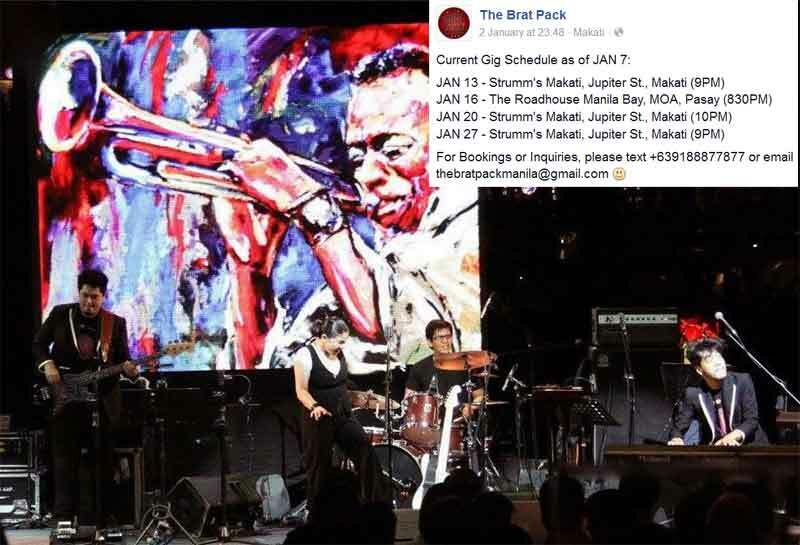 The Brat Pack plays in RHMB every Saturday and Strumm's every Wednesday. Bleu Rascals play in RHMB every Friday. These two bands have made an international appeal already and I'm surprised you didn't mention these names. 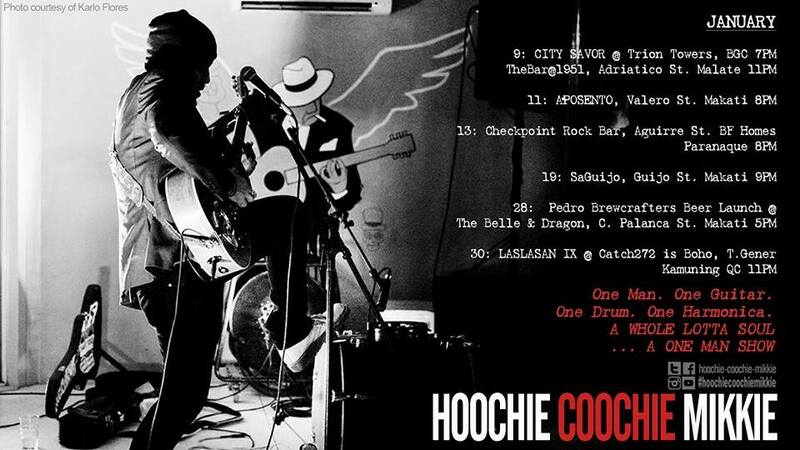 Another blues talent you don't want to miss out is Hoochie Coochie Mikkie. Straight up Delta Blues stylings unlike no other. 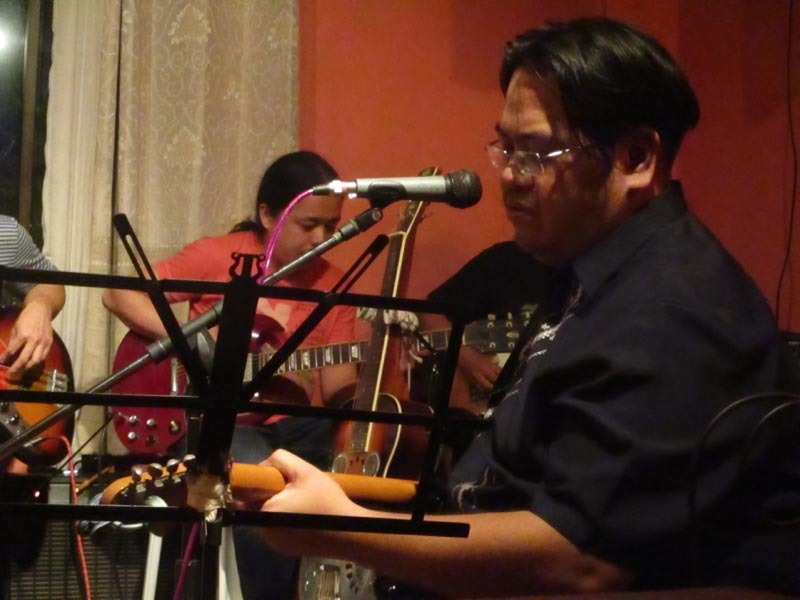 Two more obscure yet talent that's about to make it big are Spaceman and The Big Beer Dippers. 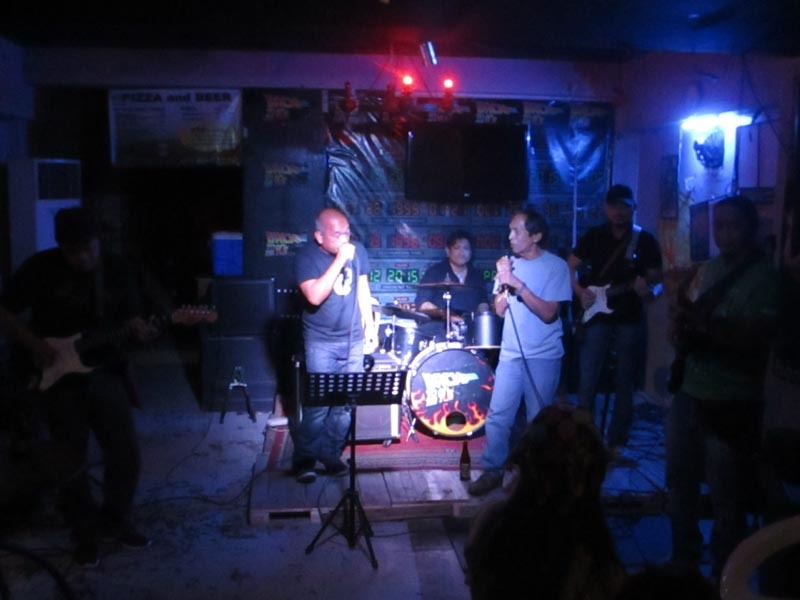 They are two blues oriented underground bands that play around the underground scene in the South Manila. 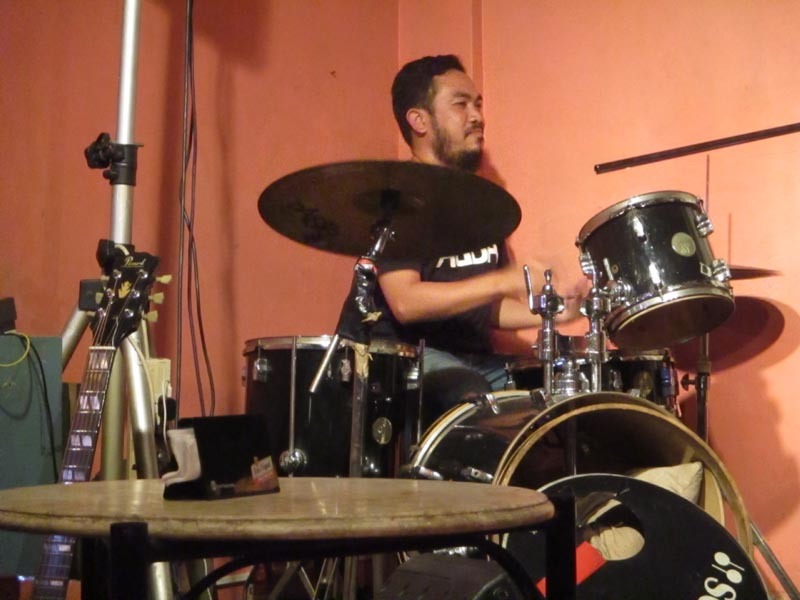 Playing in venues like Verdandi and Checkpoint and former X278 Apache. 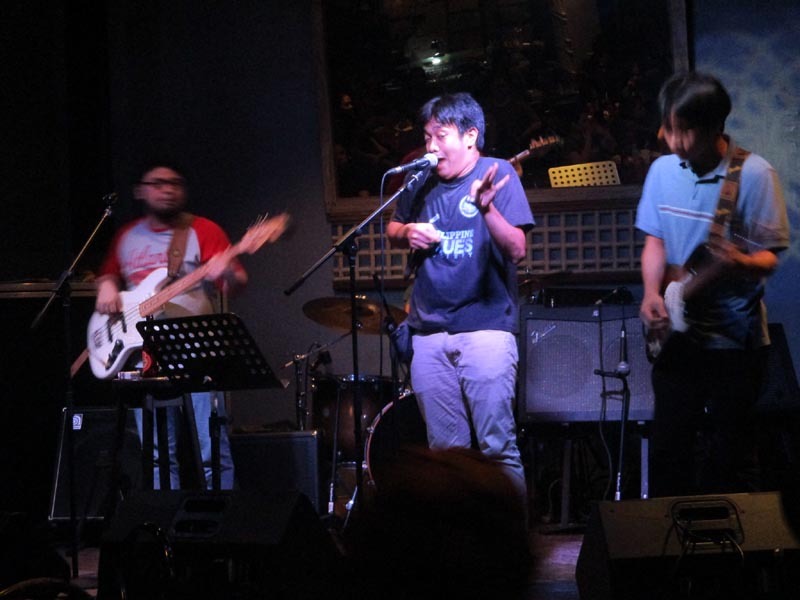 Spaceman gets a chance to play in venues in Makati like Saguijo while The Big Beer Dippers plays in Makati venues as well like Mang Rudy's. Don't leave these guys out. For me they're pumping up the scene quite a lot and THEY CANNOT BE IGNORED. (Jan 8, 2016) I hear you, YourUnderGroundMan. No one is ignoring anyone here, specially the list of impressive bands you mentioned. Can't agree with you more about Hoochie Coochie Mikkie - caught his act in 2014 with the Ian Lofamia Band at H&J. 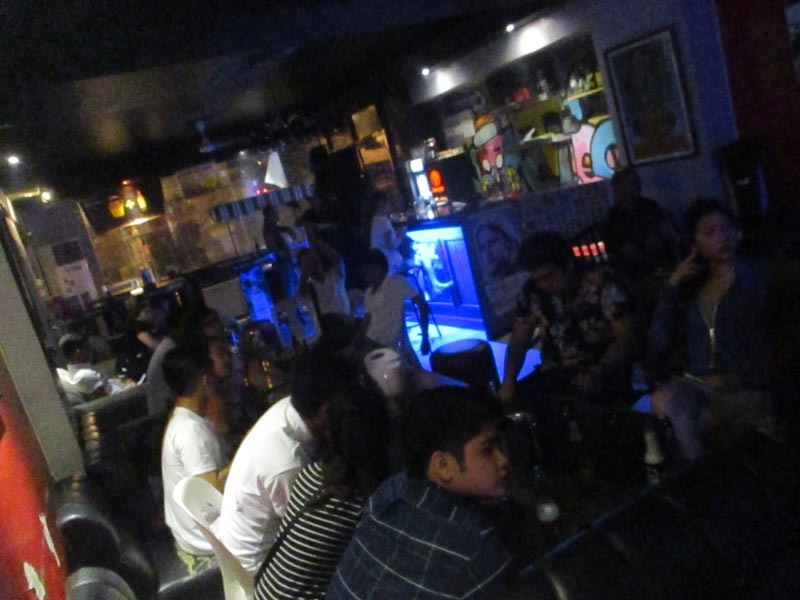 I guess I should have made it clear in my blog (but now I did) that it's not a judgement call on Manila's entire Blues scene. 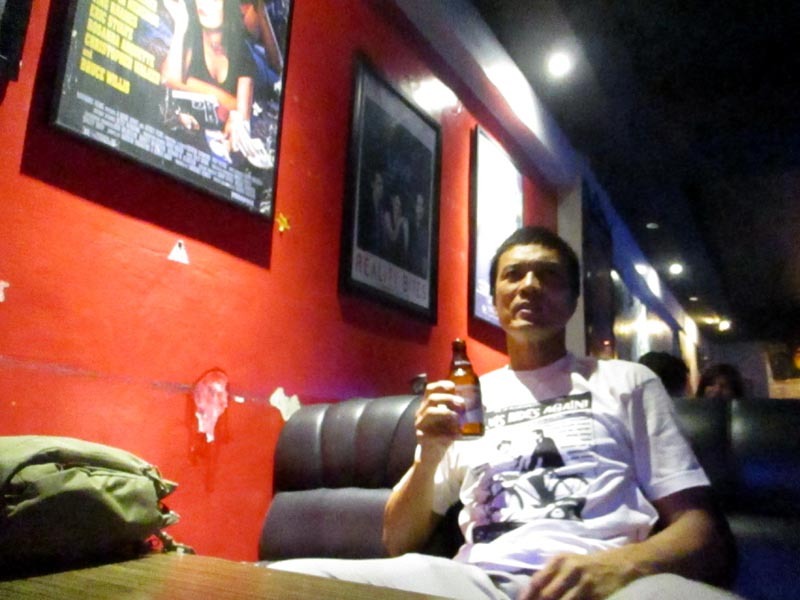 I only talked about my limited Blues experience in the last 2 weeks I'd been around with friends who are in the scene. But thanks for expanding my list of "to watch bands" - unless I get wind of them, I wouldn't even have a clue. Cheers! 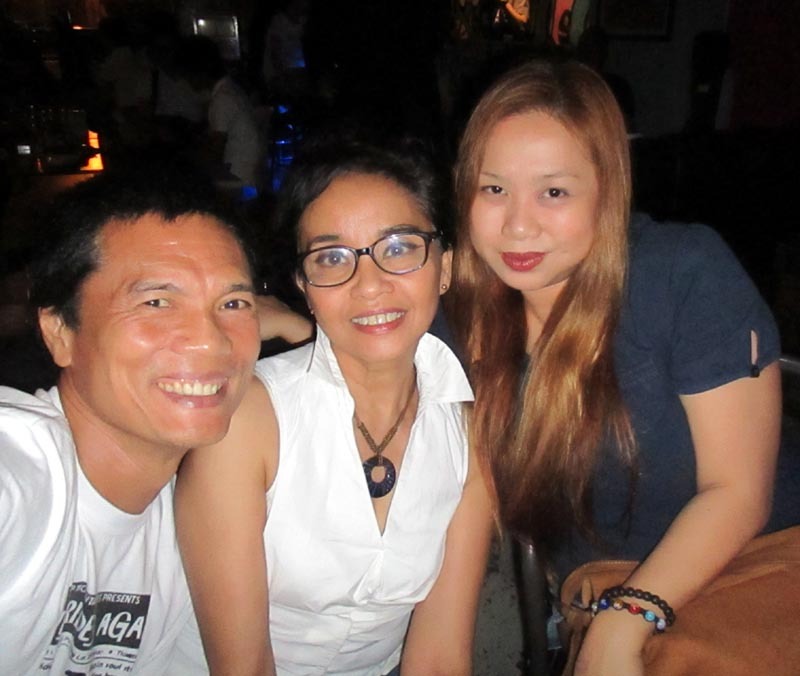 (Jan 8, 2016) People ought to start writing their own blogs and articles if what they want to read are their thoughts. Makes understanding what's written difficult when your perception is more like anticipation. Cheer up, people! (Jan 8, 2016) I passed by last night at The Roadhouse...Yamato (?) was playing. 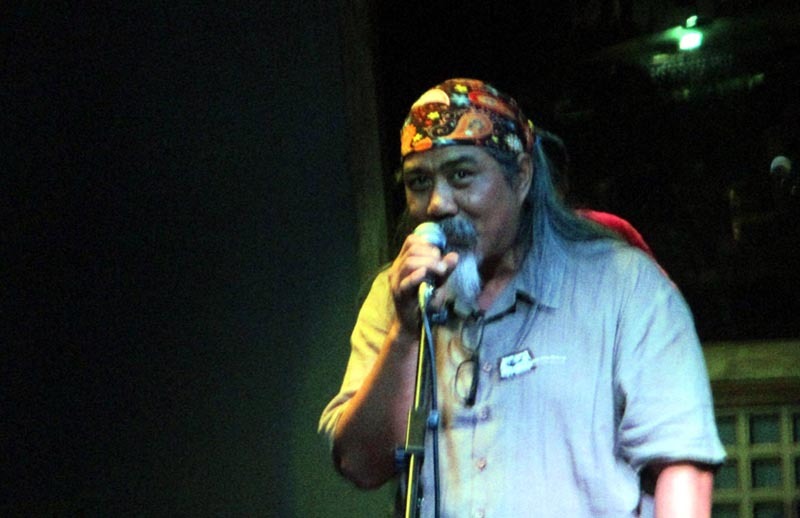 Also noticed for the event line-up - Pepe Smith, Bleu Rascals, in the coming days. 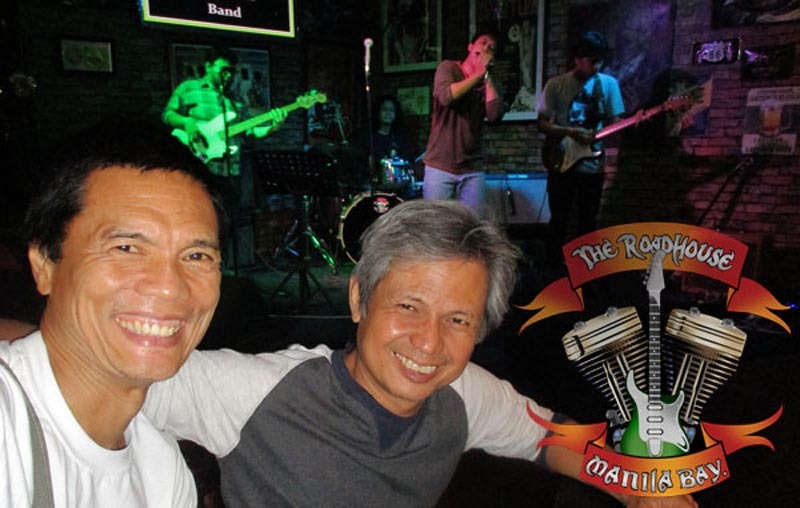 (Jan 7, 2016) And the Bleu Rascals do not deserve a mention inspite of representing and winning for the Philippines in international blues comps? (Jan 8, 2016) I'm sure the Bleu Rascals are as deserving of all the awards they garnered, but I just haven't been to their gig yet...for now. They play tonight at The Roadhouse, btw. 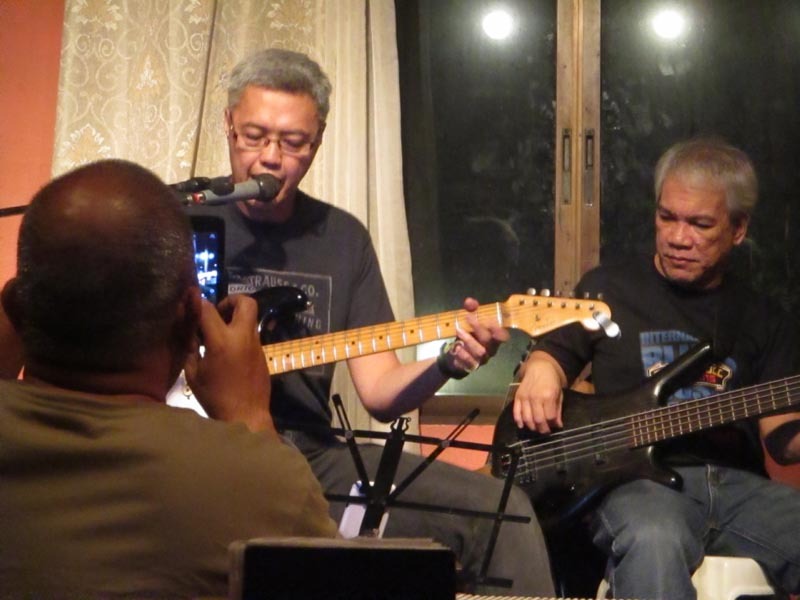 As I humbly put it, "I'm not privy to all the bands out there.." and my blog is not a mantle on who's who of Blues, but simply my limited experience of the Blues in Manila during the brief 2 weeks I'd been here. Thanks for the heads-up - I'll certainly catch the Bleu Rascals at some point.